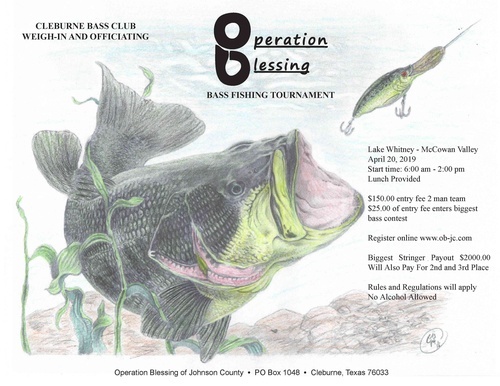 Operation Blessing of Johnson County will hold a Bass Fishing Tournament at McCown Valley at Lake Whitney on Saturday, April 20, 2019, with entry beginning at 6 a.m. and finishing up by 2 p.m. 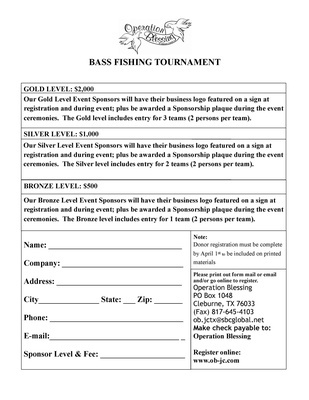 The entry fee of $150 covers a 2-man team with $25 of that fee going toward the Biggest Bass Contest. The Biggest Stringer Payout will be $2,000 with payment for 2nd and 3rd places as well. 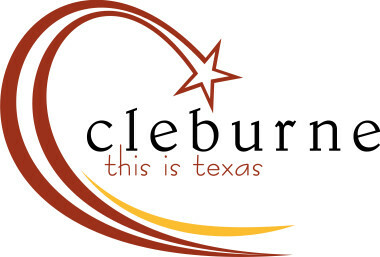 Rules and Regulations will apply with the Cleburne Bass Club weighing in and officiating. Lunch will be provided for this alcohol-free event. Sponsorship opportunities are available. Sponsorship and registration can be completed online at www.ob-jc.com. This fundraiser is working toward the puchase of a much-needed truck to pick up supplies. Operation Blessing, established in 1980, is located at 105 George Street in Cleburne and is open from 9 a.m. to 2 p.m for food and clothes distribution Monday, Wednesday and Thursday; for Medications on Tuesdays and Thursdays; and for furntiture on Tuesdays. OB is a successful 501 (c) 3 whose mission is to provide necessary aid to meet the basic needs of those who are truly unable to do so. Services, including food, clothing, gas, furniture, household items, counseling and agency referrals, are provided to lower socio-economic level families and individuals in the Johnson County area. Financial assistance with medications, utilities and rent is offered as funding is available. Operation Blessing achieves this mission through partnership with numerous agencies, organizations, churches and individuals. God is the true source of meeting the needs of those who come through the doors of Operation Blessing. He sometimes uses fishing tournaments and clay shoots to accomplish His purposes!